Change Management – Key for Business Process Excellence. Mathias Kirchmer : Change Management – Key for Business Process Excellence. 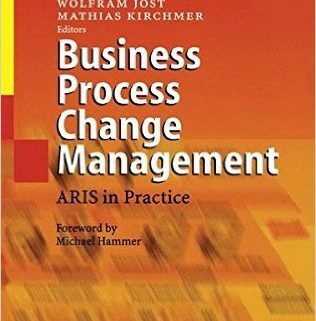 Editor: Scheer, A.-W., Abolhassan, F., Jost, W., Kirchmer, M. In book: Business Process Change Management – ARIS in Practice. Berlin, New York, and others 2003, p. 1-14.
https://bpm-d.com/wp-content/uploads/2003/05/50.jpg 499 316 BPM-D https://bpm-d.com/wp-content/uploads/2016/03/header-logo.png BPM-D2003-05-03 10:51:232016-05-24 02:36:37Change Management – Key for Business Process Excellence.